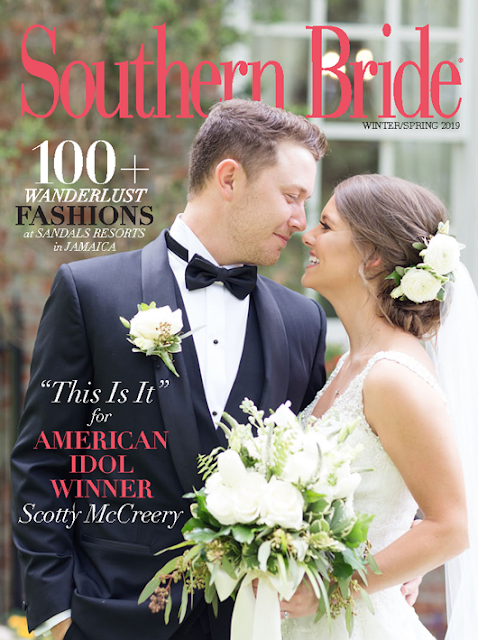 Scotty McCreery and his bride Gabi Dugal McCreery will grace the cover of the Winter-Spring 2019 issue of Southern Bride, it was announced today on the magazine’s social media. The couple were married in June in North Carolina. The magazine will be on stands in early January. Fans can pre-order a copy now and have it shipped to them in mid-December by visiting https://bit.ly/2KWOiDl. McCreery successfully launched his new Seasons Change Tour last week. The tour, which features special guests Jimmie Allen and Heather Morgan, will visit St. Paul, Indianapolis and Chicago this week. For more information and tickets, visit https://www.scottymccreery.com/tour-dates.html.